The best way to write success stories? What do you think of when you see a Porsche? A childhood dream. Motorsport. Outstanding performance thanks to cutting-edge technology. But you can't achieve maximum performance on your own — it's based on people working in partnership, all pulling together. With a shared mission. With a passion that's reflected in the products and the brand — and leads to shared success. The Porsche Partner Forum offers your brand the opportunity to become part of these success stories: exploit the huge potential for customer acquisition, retention and support in the B2B and B2C sectors. 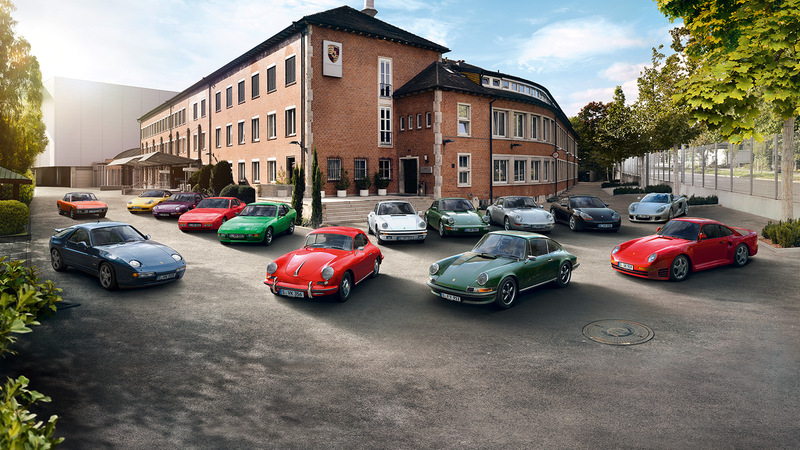 Together, we'll find the right experience that meets your requirements — and allows you to grow as part of the Porsche legend. Where do people see a victory photo? All over the world. Following our 19th overall Le Mans victory with a variety of longstanding partners, we are well aware of our reach. Benefit from the outstanding performances of our race teams and their drivers and be part of "Mission: Future Sportscar". Let's shape — and accelerate — your future vision together. We win races. You win customers. Along with a positive image. The partnership opportunities are endless: anything's possible, from vehicle branding to sponsoring a Porsche racing series. Use a partnership for an image campaign. Or put your products to the ultimate test: as an official partner of Porsche Motorsport, you'll not only increase your reach, but can also use our race victories for your own marketing. Incorporate photos, logos and videos in your communication mix to lend your activities an emotional boost. Invite potential new customers and Key Accounts to a shared Porsche Motorsport experience, for example. After all, who wouldn't want to look over the shoulder of a motorsport legend? Tours of the drivers' paddock and pit lane followed by meet & greets with the racing drivers are just a small sample of the many opportunities to reward your customers for their loyalty. 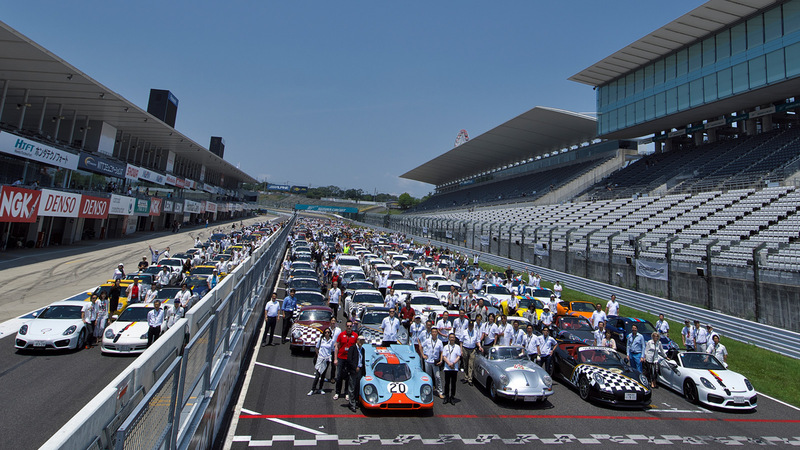 Well-known companies and brands from the Porsche Motorsport scene naturally form an attractive network that you can personally develop at one or more networking events. As well as our headquarters in Zuffenhausen, Leipzig doesn't just house the Cayenne, Macan and Panamera production lines, making it the second home of made-in-Germany sports cars, but also hosts 35,000 visitors a year. 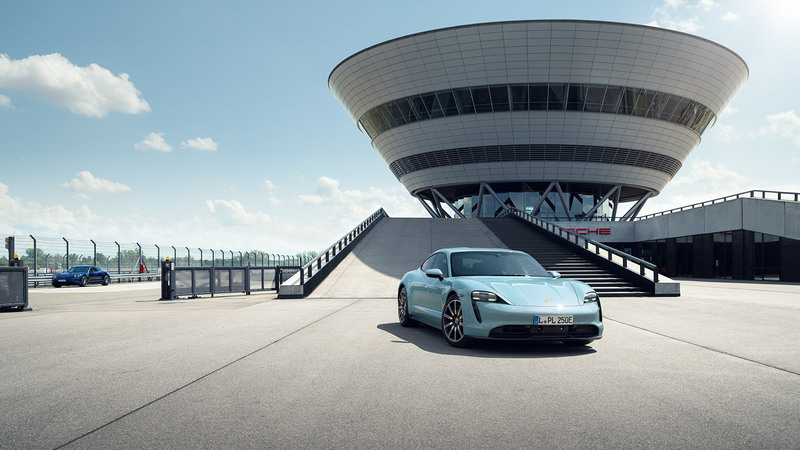 With its various programmes, including an on-road circuit and off-road track, Porsche Leipzig offers experiences for everyone, whether customers collecting their vehicles, event participants or Porsche enthusiasts. As a partner, you can be part of this unique experience culture and shape it according to your individual requirements. Enjoy special terms for events, for example, display your branding on the vehicles on our own racetrack or advertise on the billboards alongside the circuit. You can also rent exclusive presentation areas, where you can permanently showcase your products to event participants and visitors. Or how about a tour of the world's most famous bends? As well as feeling the power of Porsche sports cars on our FlA-certified racetrack, you'll also experience what the Cayenne and Macan can achieve away from the tarmac: on our very own off-road track. Whether at top speed on the circuit or hairpin bends in the mud, Porsche Leipzig certainly offers its guests an unforgettable experience. Professional yet informal. The Porsche Sports Cup bridges the gap between the professional One-Make-Series and the events of the Club motorsport scene — i.e. the perfect setting for your brand. The customer and Club racing series offers the motorsport enthusiasts among our customers both road-approved and motorsport-modified Porsche cars — and attracts over 1,300 entrants. Showcase your products, use the events as an incentive for your partners and staff and advertise them in advance. Create a memorable presence: by not only displaying your brand on various race cars, but also advertising your involvement in print and online. Showcase your products to invited guests and selected target groups at exclusive hospitality events. You can also secure spectator tickets for six different series at five famous circuits in Germany and neighbouring countries. The stars are out in force: every spring, the world's best tennis players return to Stuttgart, where they compete for prize money of USD 710,900 at the Porsche Tennis Grand Prix — plus a Porsche sports car for the winner. The Porsche Tennis Grand Prix is a successful model. It was first played in 1978 — and is therefore Europe's oldest women's indoor tournament. 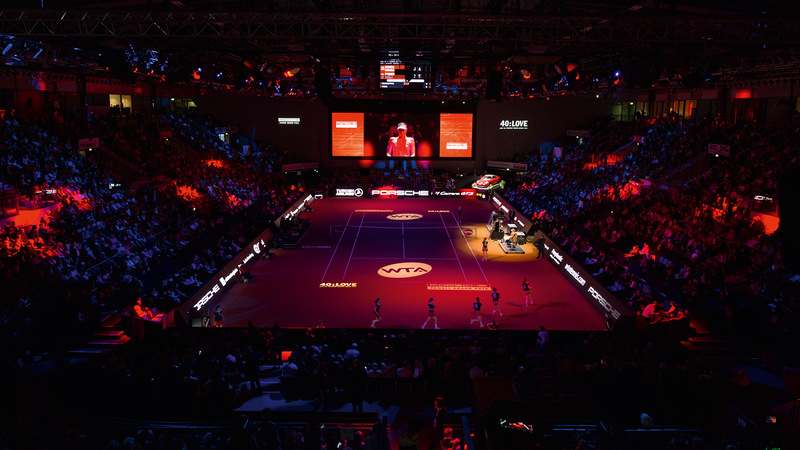 Tradition and innovation: this world-class event has been held in the Porsche-Arena since 2006 and on sand since 2009, thereby heralding a new era for the players' favourite tournament, one of 20 premier events in the WTA Tour. The Porsche Tennis Grand Prix isn't just an absolute sporting highlight. An attractive range of products and services as well as numerous hands-on activities provide a variety of entertainment even off centre court. The Sport and Lifestyle Village and Porsche Kids World are two popular meeting places before, during and after the games, where visitors can watch the players close-up during training and collect autographs. Or they can also stroll through the shopping mall. Over 40,000 spectators watch the first-rate matches in the Porsche-Arena every year. A number of games are broadcast live on TV, with highlights shown in over 100 countries around the world. Most matches can be viewed on the Internet via a live stream. You can showcase your brand to an international sport-loving audience on one of the TV-relevant billboards. You also benefit from the extensive online reporting and themed advertising in newspapers and magazines. The stars love Stuttgart. Guests and players alike receive a warm welcome. Enjoy an exclusive experience at the Porsche Tennis Grand Prix: we reserve the best seats for you directly on centre court and invite you to the VIP Lounge, where you'll be treated to Porsche hospitality with culinary delights from around the world. As an incentive, the Porsche Tennis Grand Prix is the ideal setting for you, your friends and business partners. With a ring-side view of world-class tennis, great conversation and new contacts in a stylish atmosphere. Sit back and enjoy an unforgettable tennis experience. Anyone wanting to preserve a legend must also embody it. The history of our brand — displayed over an area of 16,000 m2. Porsche Classic takes care of Porsche vehicles whose series production was usually discontinued at least 10 years ago. As a Partner, you'll have the opportunity to showcase your company at international, historic motorsport events, such as the AvD-0Idtimer-Grand-Prix at Nürburgring, for example. Our collaboration will allow an exclusive target group to experience your products. You can also enjoy the benefits of first-class hospitality in the immediate vicinity of the racetrack and discover the historic Porsche models at first hand. 675 clubs. Over 210,000 active members in 85 countries. The Porsche brand has an impressive range, especially when it comes to fans. As a partner, you can showcase your company, brand and products to a specific target audience. As a cooperation partner, you can expand your target audience at our events: by means of product presentations, parades featuring your logo and subsequent integration on the website and in the Club magazine. Porsche Financial Services has been offering individual solutions for realising your sports car dream for over 25 years: whether leasing, finance, insurance or Porsche Card S, our financial services are tailored — to your personal dream. In future, it will remain our top priority to facilitate, experience and further develop mobility. We define pioneering spirit by our passion for perfection. What does this mean? Quite simply: we look beyond the boundaries of a sports car. Porsche Accessories perpetuate Fascination Porsche and transfer that sports car feeling to lifestyle products in every category. As a Partner or supplier, you'll benefit from special terms. In addition, you'll have the opportunity to tailor existing products to events by means of co-branding, and integrate these into your own campaigns. In addition to selling and refining existing products, Product Management also implements exclusive customer requirements. Porscheplatz 1. 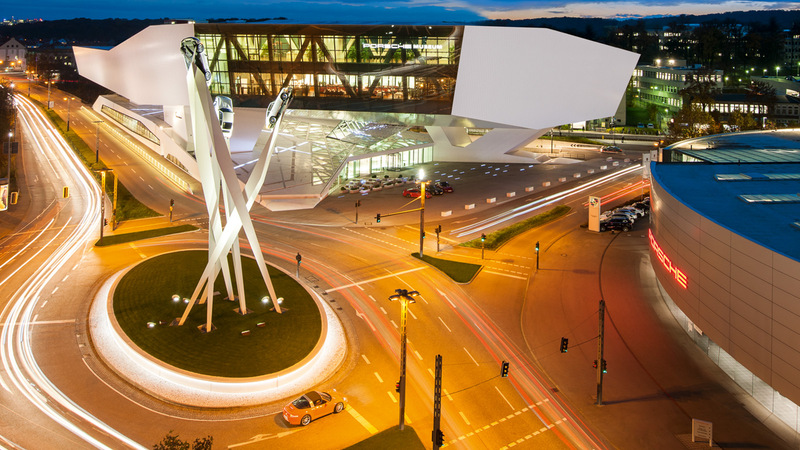 At our headquarters in Stuttgart-Zuffenhausen, the Porsche Museum houses the centrepieces of the company's collection. In this hands-on automotive museum, visitors embark upon an exciting journey through the history of the Porsche brand and its sports cars. The museum has space for conferences, seminars, lectures and film screenings that can be completely tailored to your requirements. Individual room lay-outs and state-of-the-art technology will make your event unforgettable. All in an impressive setting: the large panorama window provides interesting views of the comings and goings at Porscheplatz. By placing adverts and supplements in "Christophorus", the magazine for Porsche customers, you can also present yourself to an exclusive audience. It's one of the world's oldest and most prestigious customer publications. Every drive in a Porsche is an experience. A Porsche Experience offers your business partners, customers and staff the opportunity to discover this unique driving feeling at first hand. Whether the Travel Experience, Track Experience, Ice Experience or Experience Centres— when designing the programme, your individual ideas have top priority. All four programmes lead your group to a very specific place: the driver's seat. The only question is: how? No matter which you choose, all the programmes have a common goal: to meet the highest standards. Those of your guests — and your own, of course. Theory is all very well. But we prefer to share our knowledge live and in colour. Which is why the Track Experience is all about driving practice — from the very first second. The core concept: learning by doing, step by step. From the basics to a motorsport licence. Together, we'll develop an individual training programme — such as for meetings, conferences, customer events or even private occasions. One thing is always guaranteed: driving pleasure and pure adrenaline! Would you like to combine your Porsche driver training with an attractive supporting programme? Simply enhance your on or off-road driving event with a factory tour or visit to the Porsche Museum, for example. We'll be happy to arrange everything for you: whether checking hotel capacity or organising transfers. 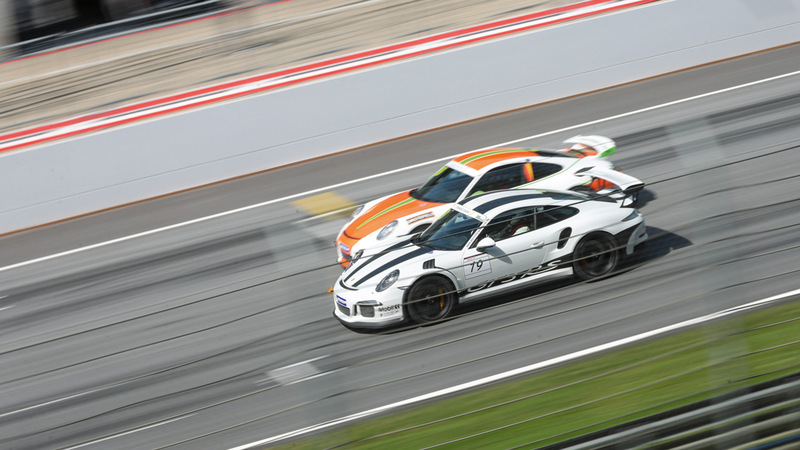 Explore new ground with us and experience our Porsche sports cars on the racetrack. Always under the guidance of our experienced Porsche instructors. Unfortunately, the world's most scenic routes are often not on your company's doorstep. The Travel Experience allows you and your customers to enjoy an exclusive trip along stunningly beautiful routes — throughout the world. Your companion: a Porsche. Choose from a variety of existing routes or let us develop an individual package according to your requirements. Regardless of the tour: you'll stay in some of the world's best hotels and dine in the finest local restaurants. 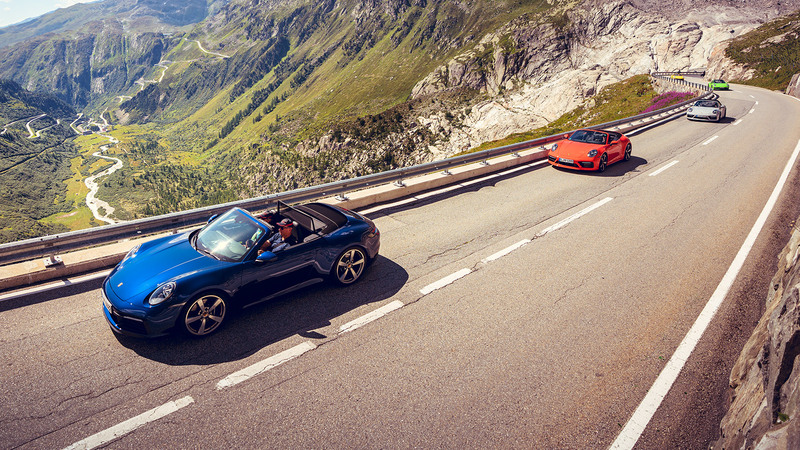 A varied programme shows you and your guests just how exciting a holiday in the driver's seat of a Porsche can be. Do you traditionally head south to relax? Why not accept a real challenge and drive north: on the Ice Experience— the benefits of a Driving School in the middle of the Finnish winter. Push yourself to your limits in icy, yet controlled conditions, together with your business partners or potential customers. Improve your driving skills under professional guidance. A thrilling experience that you'll remember forever. 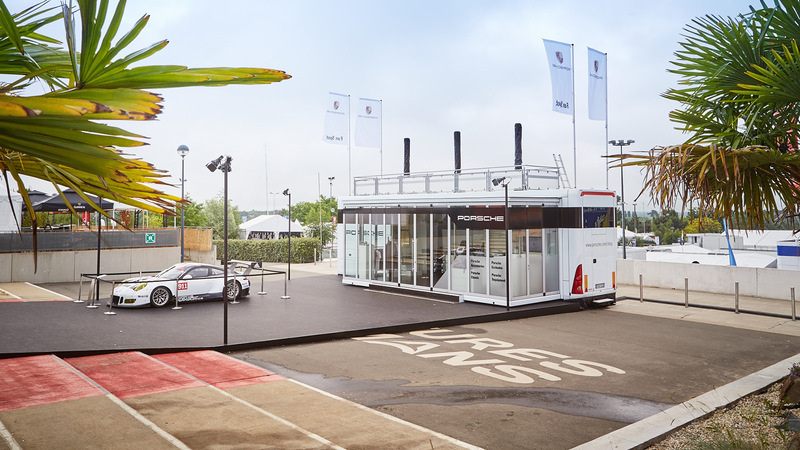 Porsche Experience Centres are unique, branded spaces around the globe, where enthusiasts, fans and customers come together to experience the Porsche brand. 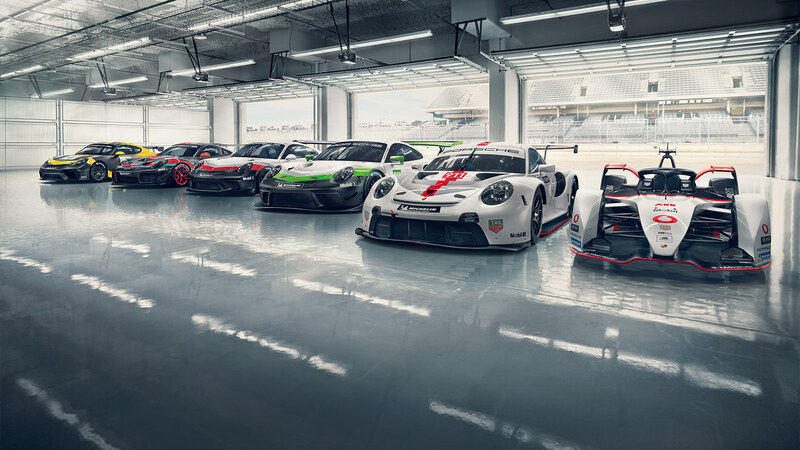 There are various options — from individual driving experience packages on the Porsche in-house test tracks to major events. All the programmes at each of our six Experience Centres in Europe, America and Asia can be individually designed and implemented according to your requirements. We therefore invite you to discover this exclusive platform with your customers, staff and business partners and enjoy a truly sensory experience of the Porsche brand. Sometimes a sports car isn't enough. Or would you like to know how to transport three bikes in a Panamera? 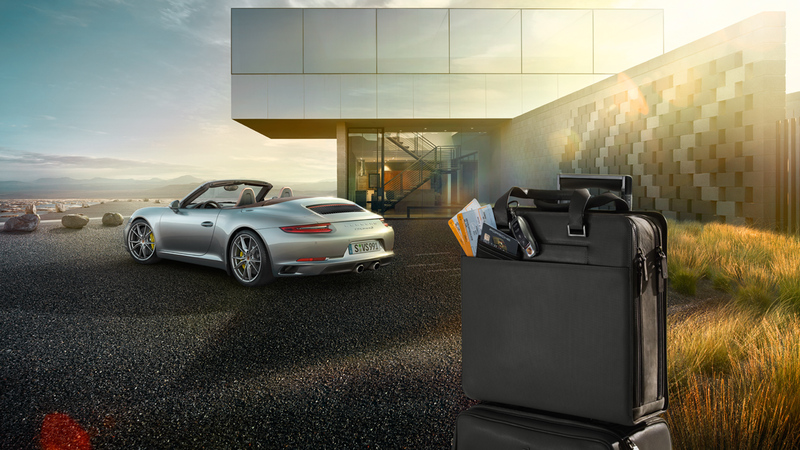 Porsche Tequipment roadshows provide answers to such questions. Porsche customers visit these events at their local Porsche Centre and learn about exclusive equipment for customising and upgrading their sports car. As a sponsor, we offer you the opportunity to make contact with your specific target group.